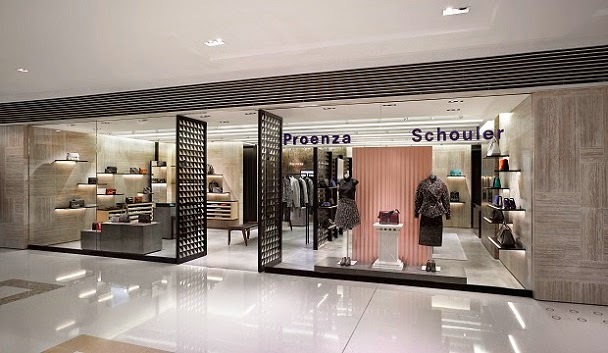 Club 21 announce the opening of the first Proenza Schouler store in Hong Kong at Elements Mall. Located in the heart of Kowloon, the store takes its design inspiration from the brand’s flagship boutiques in New York, including the signature Proenza Schouler triangle monogram steel screen. 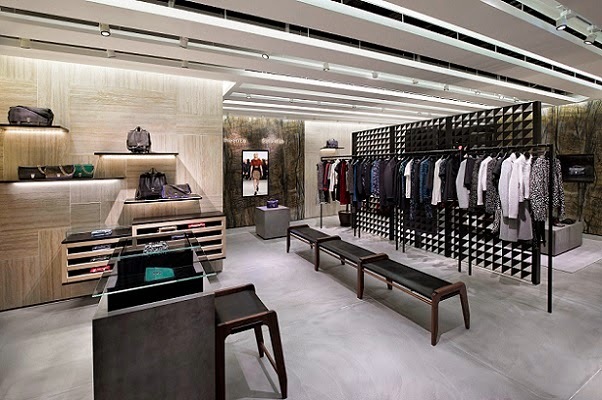 Designed in collaboration with Adjaye Associates and Uli Wagner, the 1230 square foot boutique features graphic minimal lines, and a material palette of sandstone marble, onyx and concrete, with an open plan layout optimal for shopping the collection. Founded in 2002 by designers Jack McCollough and Lazaro Hernandez, Proenza Schouler is known for its fusion of craftsmanship and attention to detail with a sense of refined ease. Inspiration drawn from contemporary art and youth culture is combined with an emphasis on tailoring and the use of custom developed fabrics. Proenza Schouler Hong Kong will carry ready-to-wear with a main focus on bags, footwear and accessories, starting with the brand’s FW2014 Collection. This season, the designers explored the themes of color, abstraction and spontaneity. The store will carry 25 exclusive PS1 Tiny handbags created for Club 21. The limited edition handbag, in cobalt and black lux leather, is embossed with the Proenza Schouler logo and a special edition number. 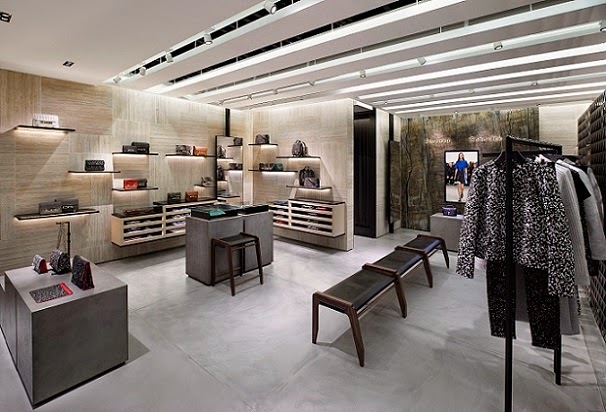 The Proenza Schouler Hong Kong store opening continues the strategic partnership with Club 21. Proenza Schouler plans to open additional stores throughout Asia in Beijing, Shanghai, Taiwan, Macau and Malaysia.